Who doesn't love a cocktail? 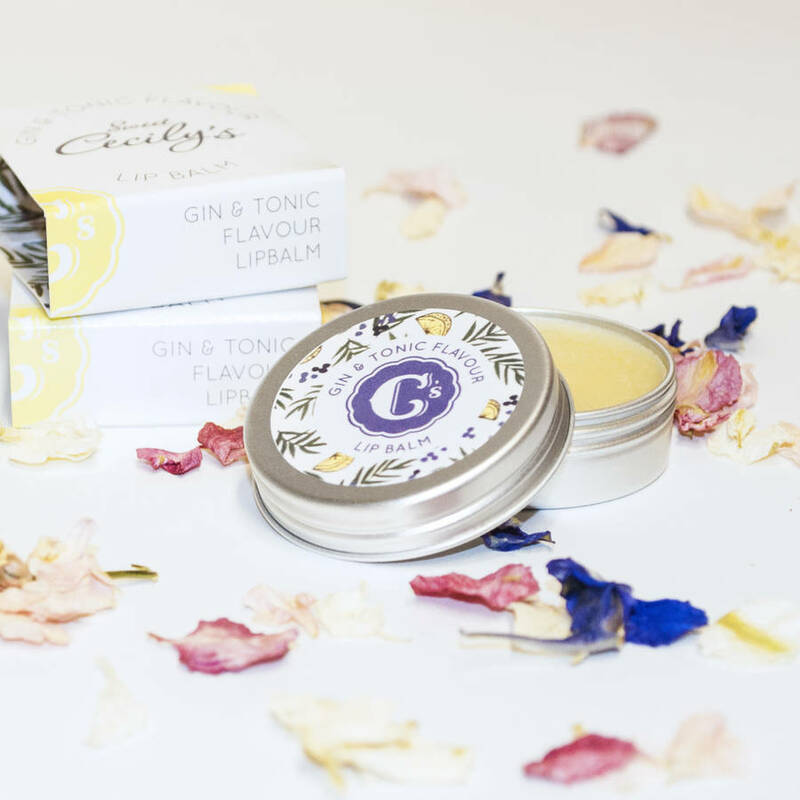 Liven up your lips with our Gin and Tonic Lip Balm. A perfect gift for one of your girls! 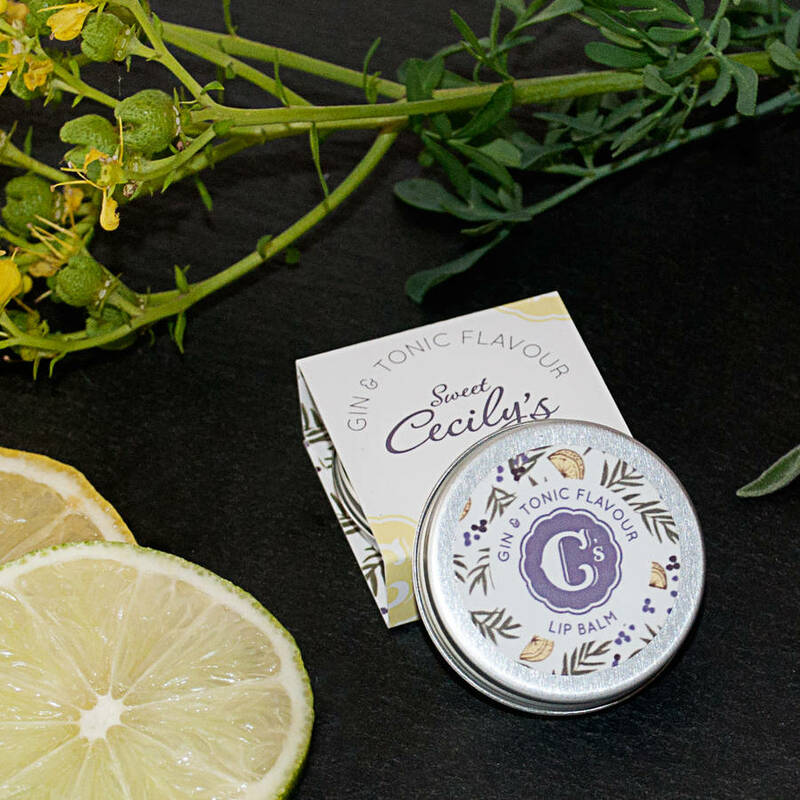 All of our natural lip balms are made with only the finest ingredients. 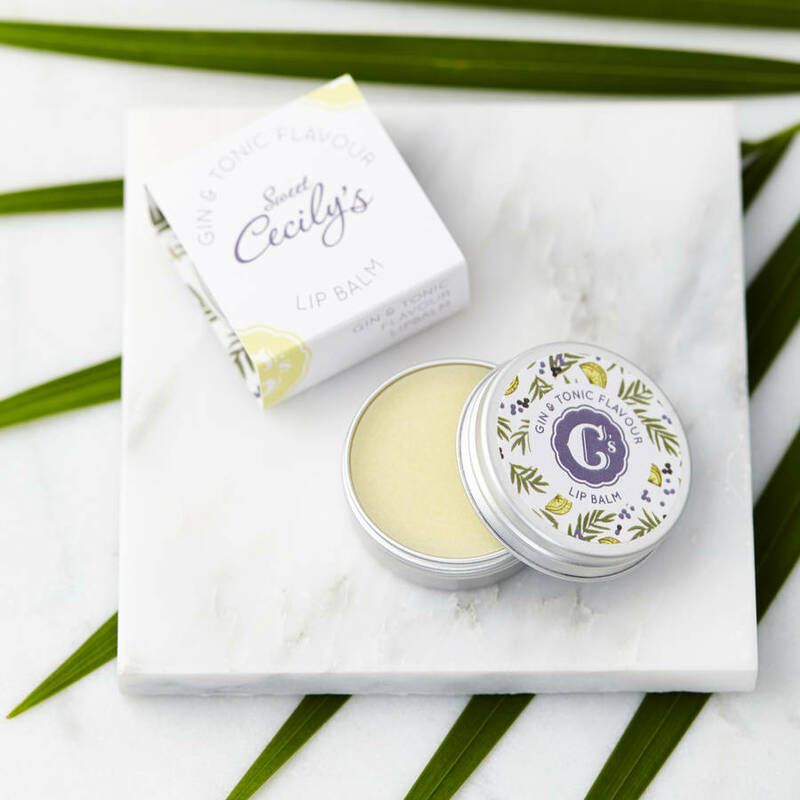 We believe in being just as careful with what you put on your skin as what you put in your body, so eat well and live well! Ingredients: Butyrospermum Parkii (Shea) Butter, Theobroma Cacao (Cocoa) Seed Butter, Cera Alba, Prunus Amygdalus Dulcis (Sweet Almond) Oil, Calendula Officinalis Flower & Helianthus Annuus (Sunflower) Seed Oil, Parfum, *Limonene, *Linalool, *Citral, *Geraniol. None of our products are tested on animals. They are suitable for vegetarians, but not classed as vegan as they do contain beeswax. Recycling info: jar is aluminium and widely recyclable. All packaging materials in box are biodegradable. This listing is for one x 10ml lip balm. Handmade in Whitby, North Yorkshire. 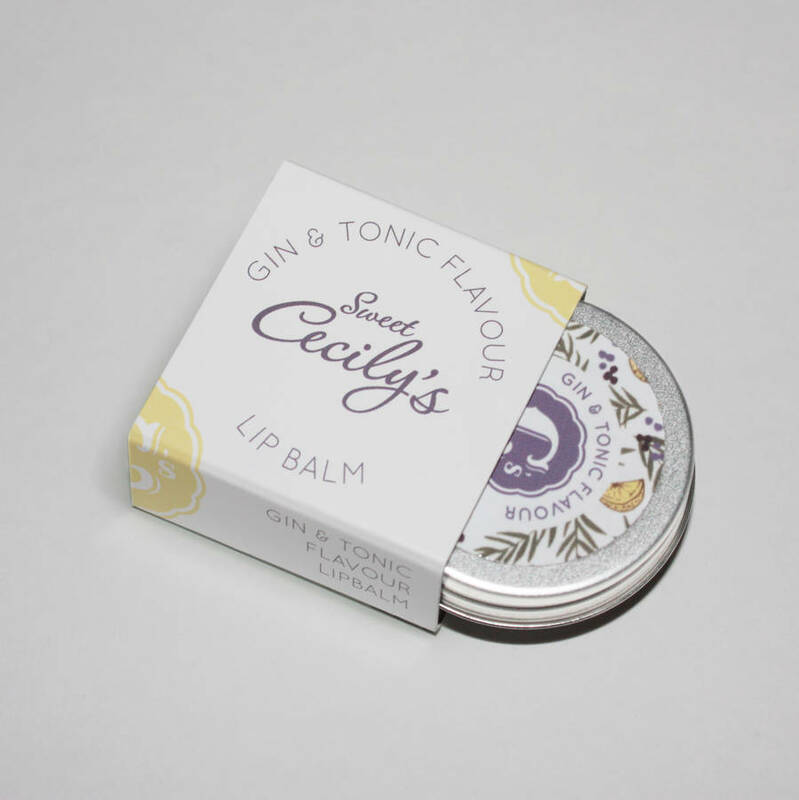 This product is dispatched to you by Sweet Cecily's.